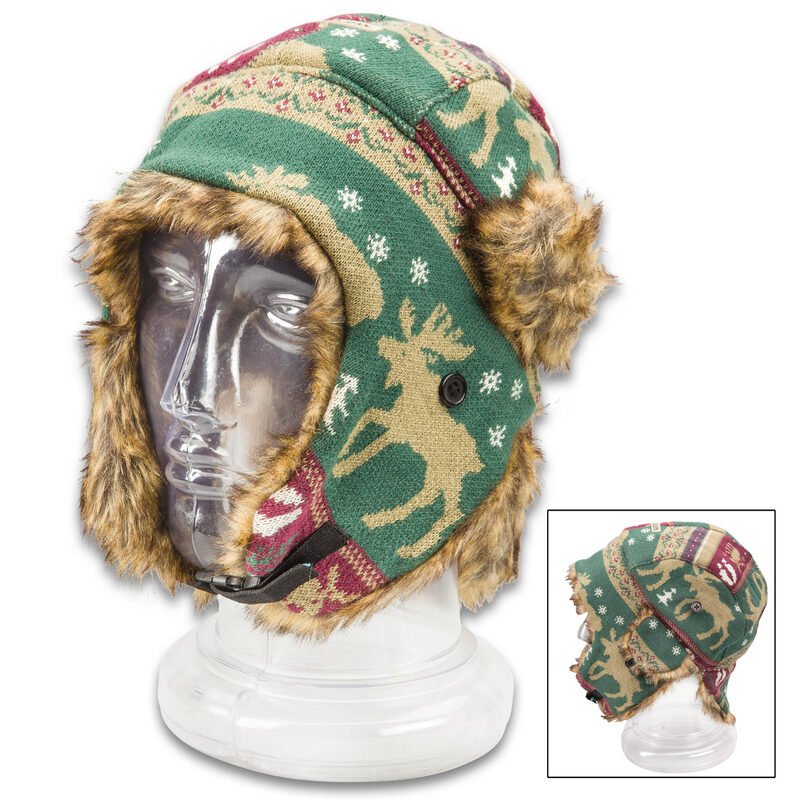 Moose Trooper Knit Hat | BUDK.com - Knives & Swords At The Lowest Prices! Made for the most extreme climates and conditions, our Moose Trooper Knit Hat performs best when weather is at its worst. 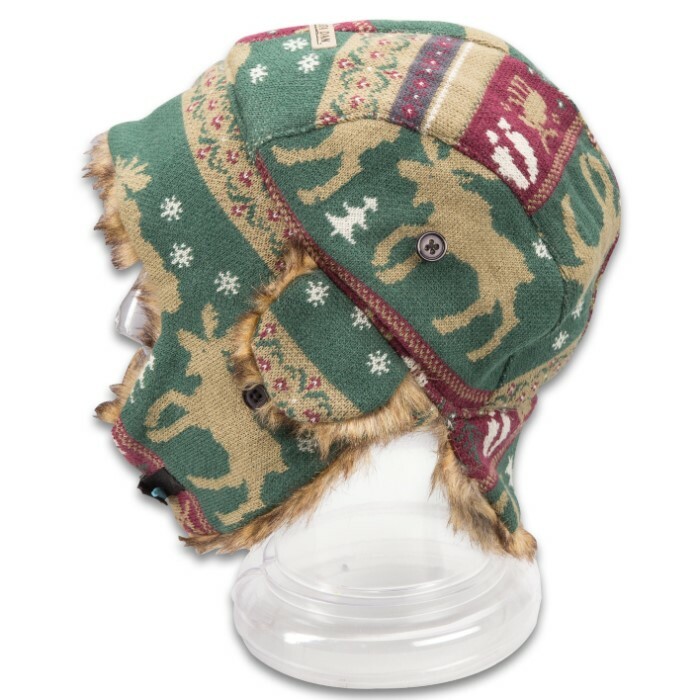 It’s made of high-quality acrylic knit in burgundy, green, white and khaki and features a winter sweater-style, moose-themed pattern. Cozy and comfortable, you need to add this great-looking knit hat to your winter wardrobe!